PARK CITY — There were tears and cheers and moans and even laughs at absurd real-life characters in the new Peter Jackson-produced documentary, West Memphis Three, at its world premiere at the Sundance Film Festival. 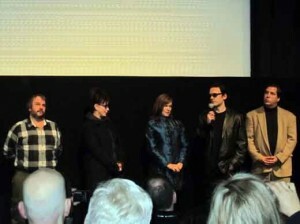 Directed by Amy Berg, the movie was commissioned by Jackson and wife Fran Walsh after the pair saw the first HBO documentary that spread the story of the West Memphis Three. 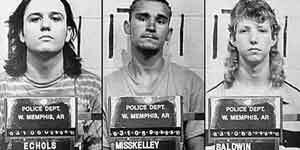 The trio was convicted in 1994 of murdering three eight-year-old boys in West Memphis, Arkansas and has long been an the subject of intense media scrutiny. Damien Echols, Jason Baldwin and Jessie Misskelley were, according to many, completely innocent and clearly wrongly convicted. The justice system of Arkansas does not agree. Jackson and Walsh watched the original HBO documentary, Paradise Lost, that focuses on the case and the doubts that surround it. That original film has grown into three. “It made us angry and it made us sad and we called Lori (Davis, Echol’s wife) and asked if there was anything we could do,” Jackson said. What they did made its world premiere at the Sundance Film Festival where Jackson, Walsh, Berg, Echols, Davis and team of lawyers who worked to get the trio released, were on hand to receive a standing ovation from the premiere audience. As documented in the film, the accused were released from jail in late 2011 when they agreed to enter a guilty plea that allowed them to maintain their claims of innocence. Jackson appeared to be emotional at the Q&A after the screening while Davis and Echols were gratified to receive a standing ovation from the crowd. “This is the first time we ever watched this with an audience before so it’s pretty overwhelming. Thank you,” he said. The film documents the legal team’s effort to do further DNA testing to exonerate the trio and the system’s rejection of efforts at a new trial. It also punches substantial holes in the original conviction. Jackson and Walsh funded the research and brought in forensic experts to examine the evidence. They refuted the state’s claims of torture and satanic ritual, also part of the documentary. “Fran was on emails to Lori all night long and I was making movies to pay for the defense,” Jackson joked at Sundance. The pair plays a part in the documentary, with written words between Walsh and Davis illustrating the emotional turmoil of the experience while Jackson is on screen explaining the filmmaker’s involvement. Jackson said they were involved since 2005 or during the couple’s time making King Kong. They decided to have the documentary made after an appeal for a new trial based on emerging DNA evidence was declined in 2008. The film, currently unsold, goes beyond portraying the three as innocent and spends a substantial portion of its two hour and 20 minute running time to point an accusatory finger at the former stepfather of one of the victims. Terry Hobbs is strongly suggested to be responsible for the crime. At a Saturday press conference, Echols’ lawyers said they would welcome a lawsuit from Hobbs, which would allow them to question him further and focus more legal attention on him. He was never part of the original investigation and his DNA matched some found in a knot on the shoelace that bound one of the victims. Hobbs previously sued popular singer Natalie Maines and because of that lawsuit, where he was ordered to pay $18,000 in legal fees, he was deposed about his actions around the time of the murders. That deposition footage is part of the documentary and Hobbs’ evades questions and laughs off evidence and witnesses refuting his story; police never questioned him in the original investigation. The opening of the film gives viewers an glimpse of how committed the community was to convicting the trio calling it the first “crowd sourced” conviction. Footage shows parents of the victims condemning the convicted teens in strong language in historic news footage. They were also in the audience for the first screening and have changed their view of the trial and of the trio. For Jackson and his team, the film and the appearance at Sundance happen during a break from filming back-to-back movies based on J.R.R. Tolkien’s The Hobbit. The first, scheduled for release in December 2012, stars Martin Freeman, Ian McKellen and Richard Armitage. Reports suggest Jackson has around 100 more days of filming starting in February. 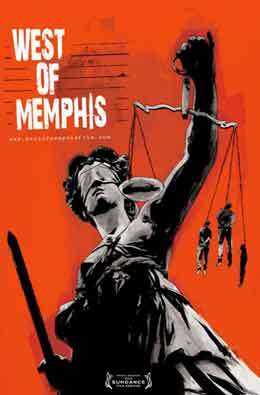 Please read a review of the West of Memphis here.